A tour-de-force and eight years in the making, this is a powerful, superbly drawn and deeply moving portrait of a young man coming to terms with his dying father, and with his own life, as he takes care of the old man in his final months. When Nye’s father phones to wish him a happy birthday, and reveals he has been ‘certified for hospice’, Nye slumps down on the nearest doorstep in shock. Unemployment means that he is free to move in to the trailer park where his father lives, and assume the role of chief carer. 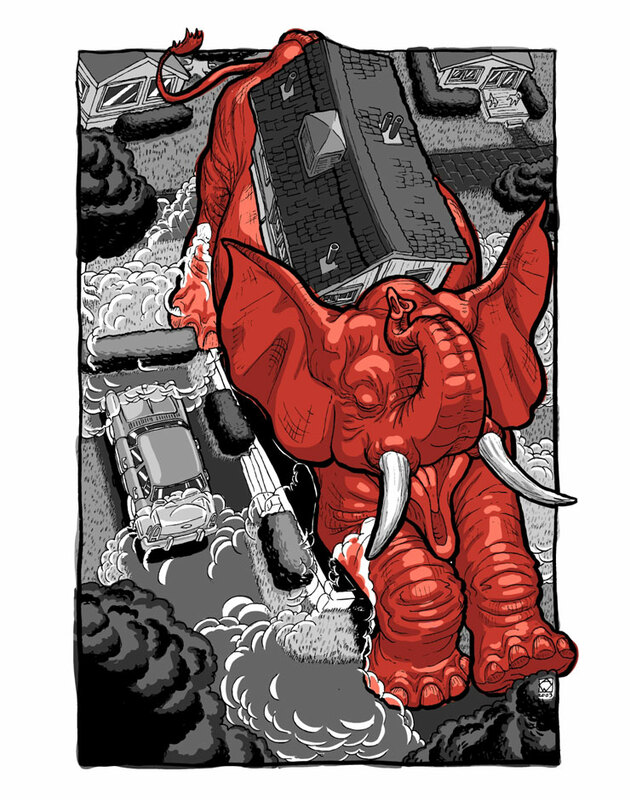 Their daily schedule of pill counting and medical checks unfolds into an extraordinary world where the protagonist is a minotaur, his father a rhinoceros, social workers are sea turtles and mobile homes move atop gigantic elephants. An emotive, tender, well drawn novel by Aneurin (Nye) Wright. 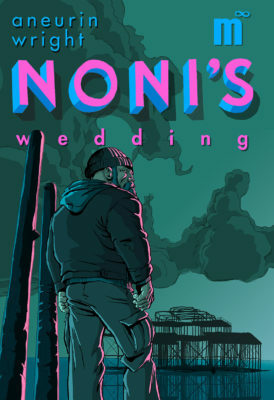 Nye is also author of Noni’s Wedding (Myriad, 2017). Heart-breakingly sad, visually arresting… strangely comforting. It lingers long after the final notes have sounded. A work of unflinching reality and subtle beauty... deserves a place next to the richest memoirs as well as the most vibrant fantasies. Honest, inventive and resonant, this is a confident and impressive debut; a remarkable breakout work that speaks to the reader on many different levels. Constantly unpredictable and compelling... A strikingly unusual and daringly inventive addition to the arena of autobiographical, reconciliatory comics. The inventive symbolism never overwhelms the emotional honesty grounding this compelling memoir, which also contributes to the burgeoning field of 'graphic medicine'. 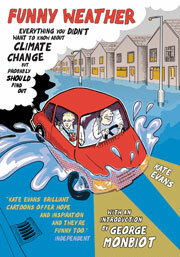 It’s absolutely an emotive, tender, well drawn, and above all else a very personal memoir... Artistically it’s impressive as hell. In the end, a serious joy pervades... I cannot think of a single book that would be a better companion for family members beginning on this particular work of caring. This book is a truly powerful undertaking.... A masterful piece of work. Wright is an amazing talent. A key part to Nye’s story-telling is his imagery and strong metaphors for life and his bold use of colours... This is a real gem of a book. Beautifully crafted... Drawn with compassion, sensitivity and humour, it offers an emotionally honest insight into the impact of a terminal disease on everyone affected by it. This is one of the most involved and affecting portraits of [terminal illness]... Wright’s naked emotional honesty makes it work. Marvellous, emotional... it succeeds because it is real. Masterfully drawn and touchingly constructed. All at once heart-breakingly sad, visually arresting and, for anyone who has helped a parent navigate the end-of-life process, strangely comforting… It lingers long after the final notes have sounded. A work of unflinching reality and subtle beauty. 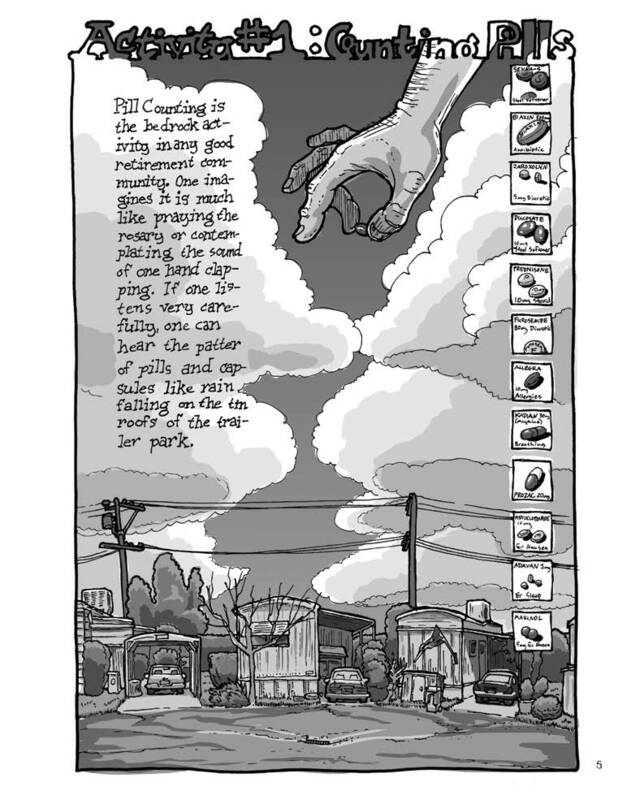 The graphic novel Wright has created is beautifully illustrated and poetic in its phrasing. 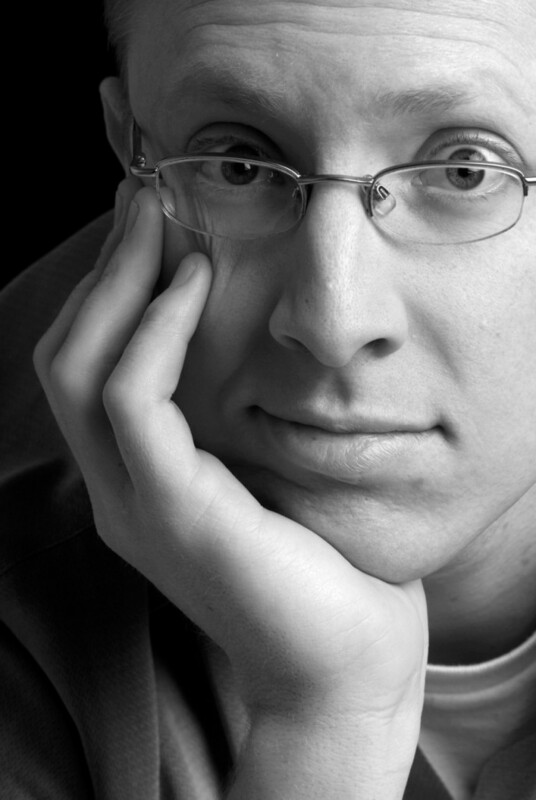 The ellipses are perfectly balanced with what he calls the ‘golden moments,’ the beats telling the story. 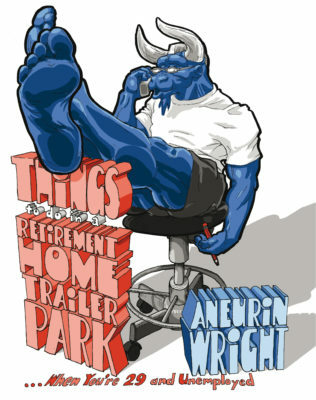 With such a deft touch and the ability to soak so many complex emotions into each page, Aneurin Wright’s Things to do in a Retirement Home Trailer Park... deserves a place next to the richest memoirs as well as the most vibrant fantasies. Things to Do is not just a poignant study of the complexities of the father-son dynamic or of coming to terms with parental mortality, it’s also an often very funny memoir. Not least because of Nye Wright’s portrayal of his father’s irascibility, his own self-deprecating wit and some choice moments of darkly humorous dialogue. 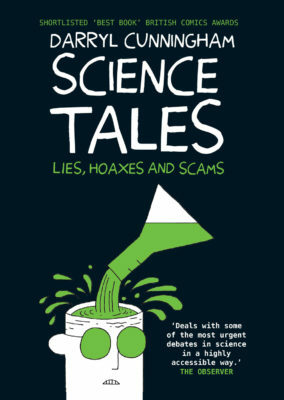 Honest, inventive and resonant, this is a confident and impressive debut; a remarkable breakout work that speaks to the reader on many different levels and, even this early in 2012, one that I suspect will be on many people’s best of the year lists in just under twelve months time. Constantly unpredictable and compelling... A strikingly unusual and daringly inventive addition to the arena of autobiographical, reconciliatory comics by siblings about their sometimes difficult parents, and to the burgeoning field of ‘graphic medicine’ exploring in both frank and funny terms the real, complex impact of illness and death on the the whole family. The inventive symbolism never overwhelms the emotional honesty grounding this compelling memoir, which also contributes to the burgeoning field of 'graphic medicine' by exploring in both frank and funny terms the complex impact of illness and death on a family. 'It’s absolutely an emotive, tender, well drawn, and above all else a very personal memoir, of a son’s chance to reconnect with his dying father in their final months together. 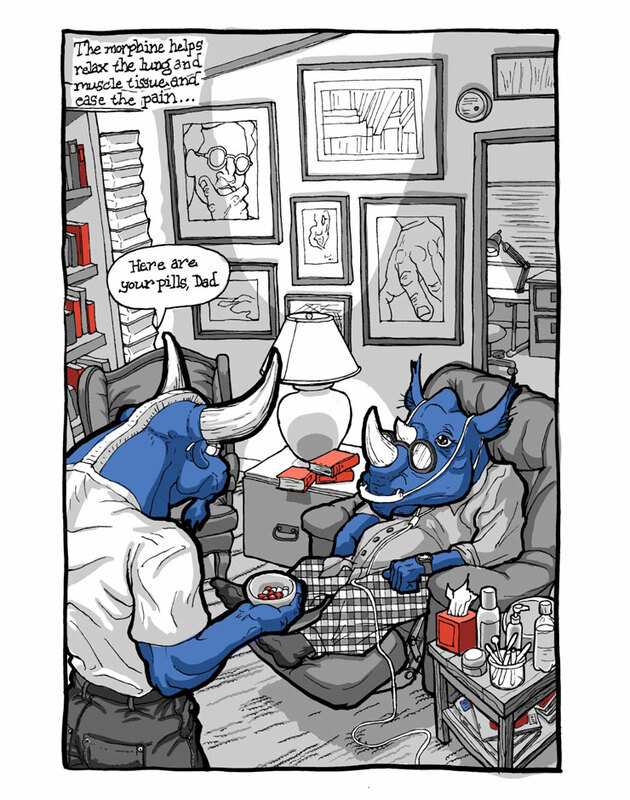 Wright makes no attempt to disguise the autobiographical nature of this story, despite portraying himself as a huge blue minotaur and his father as a bright blue rhino, and just knowing how intensely personal this is draws you into the emotional core of the tale. Artistically it’s impressive as hell, and his decision to use a limited colour palette adds so much, the cobalt blues, deep oranges and reds, and gray, lots of gray. In the end, a serious joy pervades Things to Do. In my decades of reading the hospice and palliative care literature, I cannot think of a single book that would be a better companion for family members beginning on this particular work of caring. 'This book is a truly powerful undertaking. I was actually stunned reading this, not just by the artwork but also stunned in a way that caused me to lose my breath, find something to hold onto and weep uncontrollably... It manages to convey the plodding daily routines of care, the powerful emotional struggles of family, the joy of creativity and the crippling pain of loss in such exquisite detail you can literally feel every day of the 10 years this book took to make... Part of the reason it’s so impressive is the sublime artwork and colour palette, which lends itself to the narrative as the story unfolds. It looks incredible and being such a tome you have ample room on each page to drink in every line, every image and every vivid shade of red, black and blue. A masterful piece of work. We switch from poignant reality check through to some amazingly funny moments and it’s this mix of other-worldly characters and reality that make this book all the more engaging. What’s a key part to Nye’s story-telling is his imagery and strong metaphors for life and his bold use of colours. A limited pallet of a few colours seem to glow on the page and have almost captured the life in the characters on show. This is a real gem of a book. 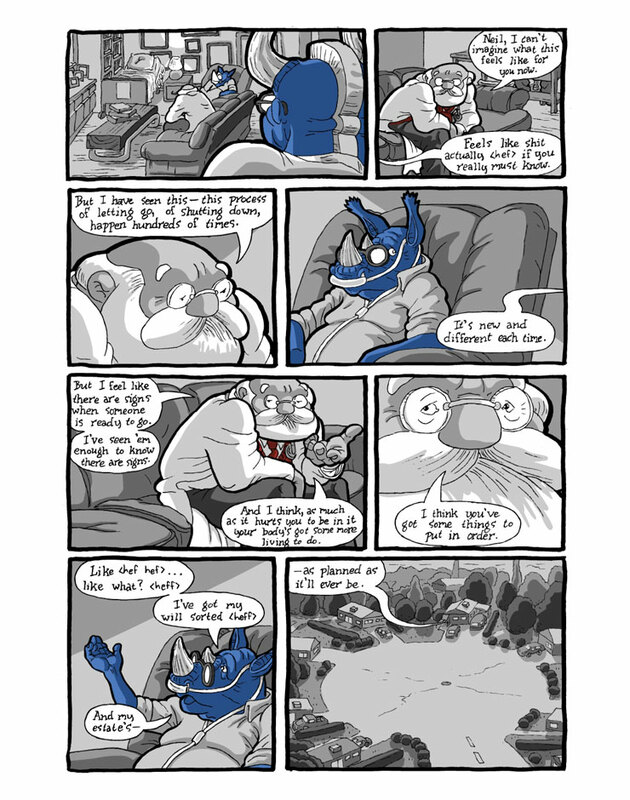 A beautifully crafted graphic novel about a father and son who learn how to understand, accept and forgive each other, and themselves, as one life draws to a close and another begins. Drawn with compassion, sensitivity and humour, it offers an emotionally honest insight into the impact of a terminal disease on everyone affected by it. This is one of the most involved and affecting portraits of how terminal illness affects both the afflicted and the survivors that I have ever seen, and Wright’s naked emotional honesty makes it work. Marvellous, emotional... it succeeds because it is real. Masterfully drawn and touchingly constructed... should see the author on the podium at award ceremonies and topping end of year ‘best of’ lists. Delving into the graphic memoir's incendiary contents only confirmed that what I now had in my possession was one of the reasons Kindle and their ilk won't put paid to the printed word.